Oh man.. I am slowing down on these because the end of the year is crazy town for me, schedule wise. I’ve got 15 years worth of clients that wait all year for my fall mini sessions, and I’ve got 2 years of SeneGence customers that want all the fantastic makeup for Christmas presents and parties. It is sooo fun, but I don’t have much time for anything else. SOOO… I am combining November and December in 1 fell swoop, so that I don’t neglect all my final birthday babes, and I get this curated list up for the archives. Yes.. you bet I search my own blog posts for gift ideas when I need it! It’s so handy. 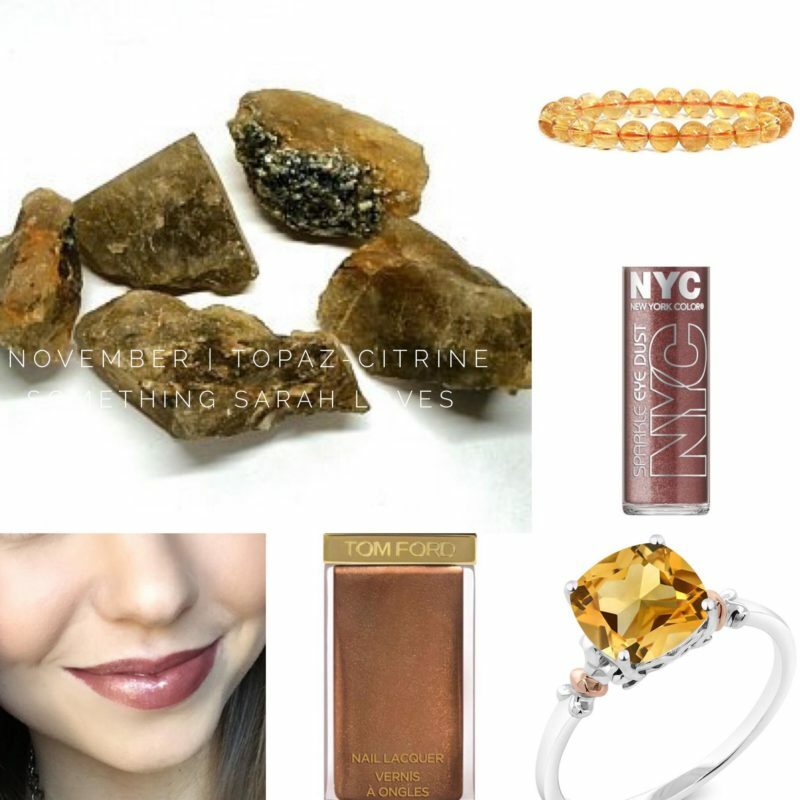 November is Topaz or Citrine in predominant yellow shades. This round beaded Citrine stretch bracelet is great for anybody. This stunning citrine fashion ring is super affordable, and gorgeous! Take this vibrant citrine metallic paint, find an old frame, and print your favorite picture for your November birthday babe. This topaz flash drive for any techie in your life. This Tom Ford nail lacquer in Burnt Topaz is AMAZING. You know we have a LipSense color called Precious Topaz. It is a warm toned brown with silver flecks. You need some. Legit raw Topaz bars from Brazil. I would use these as a rad paper weight. This darling Bronzed Topaz J.Crew sweater. Perfect for fall and for guys and gals! N.Y.C Sparkle Dust in Smokey Topaz. Pair this with the Tom Ford polish, and you’ve got a great gift for that beauty obsessed November babe. And December is Zircon or Turquoise in blue shades. You GUYS. Zircon is the brand name of a line of manly man tools! You so need to get this Zircon Stud Finder for that December stud of yours. Zircon Snowflake Pendant earrings… What could be more season AND birthday appropriate! Uhhh.. Imma need this Turquoise Pioneer Woman Knife Set just because. Mmmkay? We also have a brilliant Turquoise blue (long lasting, anti aging) ShadowSense. You December babes need this! This Turquoise shaggy, super soft throw is, for real, on my wish list. Every woman needs a turquoise rolling organizational cart for organizing ALL.THE.THINGS! Not to leave the manly men out, this turquoise switchblade is pretty awesome. 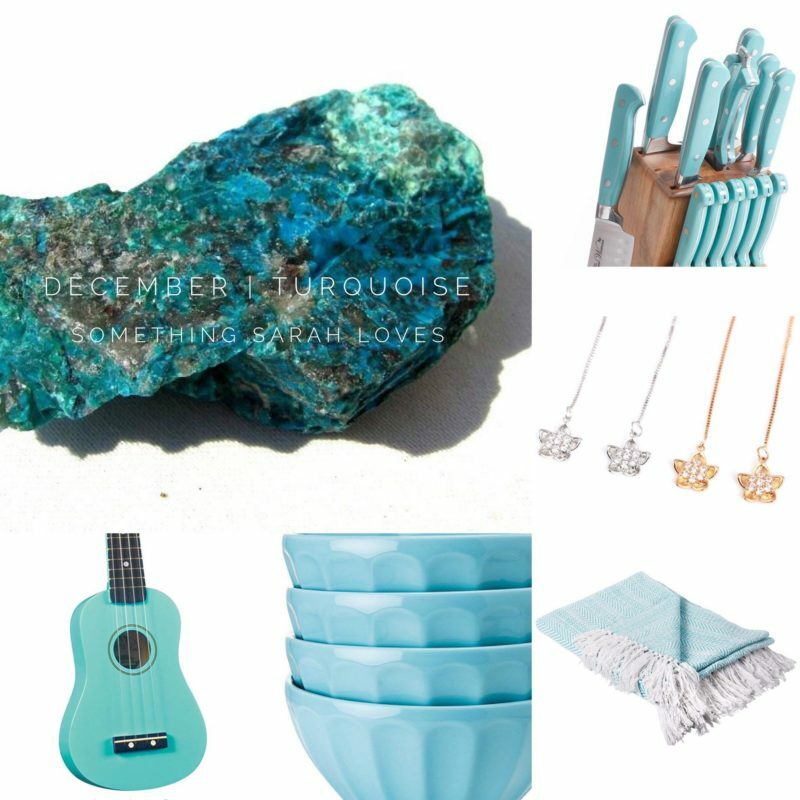 They have made a TURQUOISE UKELELE… need I say more? These highly reviewed turquoise gel pens for any office junkie. I have to say.. this has been super fun for me to find these unique themed gifts. I am proud that I actually finished a goal I set out to do in January!! I will leave these up so that anytime we all need a themed birthday gift, these will be available to search through. And STAY TUNED. Our 2nd Annual 12 Days of Christmas will be starting up again December 1st!! Thank you again and again for all of your love and support. I truly am SO thankful for each of you.